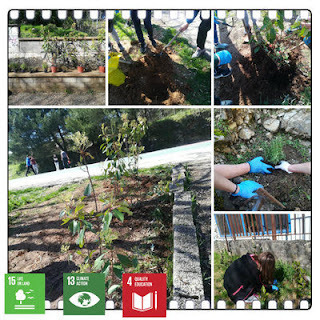 The Erasmus+ students decided to transform their schoolyard into a “green” one, by adding plants, flowers and trees to grow under their everyday supervision and care. With the help of their teachers, they improved the school ground with their outdoor learning activity and enriched the local ecosystem. 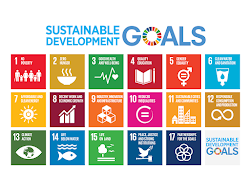 At the same time, they served Goal 15: Life on Land, Goal 13: Climate Action and Goal 4: Quality education. 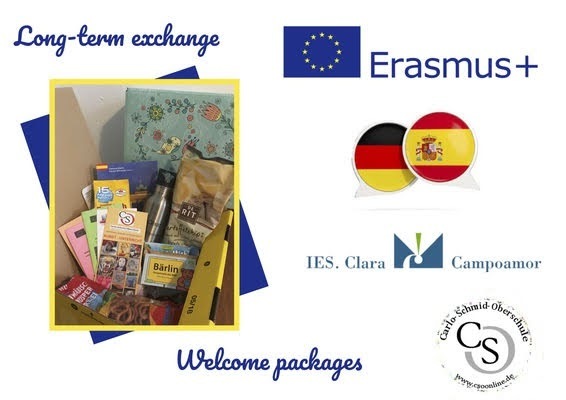 9-year pupils took part in the "Fair Brand" project. 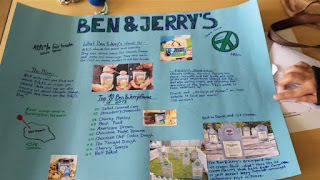 The aim of the project was to raise awareness of the idea of the fair trade and its products. 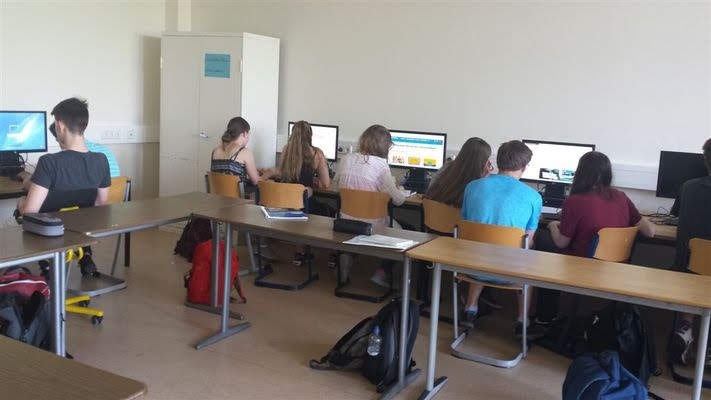 The pupils, in groups of 2-3, searched the internet for information on different brands, what products they have, where their factories are, how many people work for them, if ithey are environment-freindly, their commercials, history, etc. Next, pupils presented what they found out and exchanged opinions on certain brands - some shared their experience with diverse products: even if they cost a little more than "regular" products pupils still like fair trade products more for their quality. Pupils also stressed that it is important to support those brands because of fair working conditions, honest pay and equal chances for their workers. 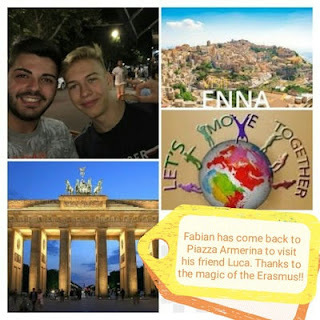 Fabian has come back to Piazza Armerina to visit his friend Luca. It' s great! 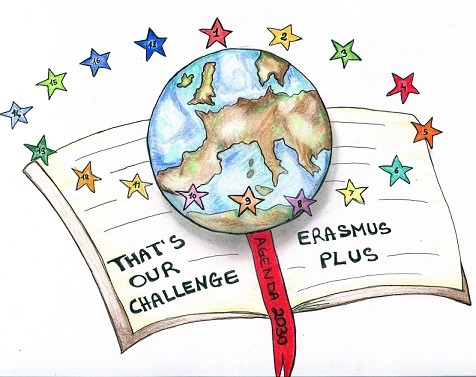 Thanks to the magic of the Erasmus. And Tobias will visit his partner in August. There are the pictures of Erasmus Holidays. Long-Term exchange- Here we come! Last Wednesday, we went to an educational institute called EPIZ, who is working for sustainable and global learning. Six of our students and three teachers participated in a workshop concerning global nutrition and consumption with a focus on poultry exports from the EU to Ghana. At first, they taught us some facts about Ghana and poultry consumption in Europe. 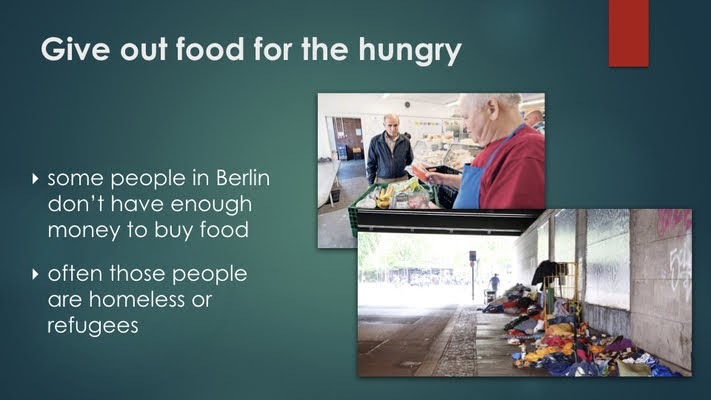 For example, in Germany many people only eat chicken breasts and legs. All the other parts, that we don’t like to eat, get exported to Africa. Countries like Ghana have a lot of problems with the European poultry then. On the one hand it’s so cheap that the farmers can’t sell their own chicken anymore, so they loose their jobs. On the other hand, due to the long way the poultry travels and the related process of defreezing and refreezing, the meat looses quality. When the chicken arrives at the Ghanaian markets, it often has gone bad and consumers get food poisoning of it. The Ghanaian meat would be much healthier and fresher. 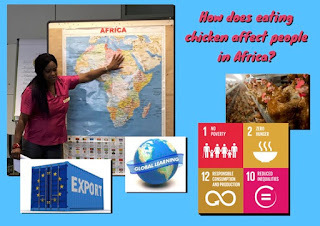 So not only does the European poultry make the people in Africa poor, but it also makes them sick. 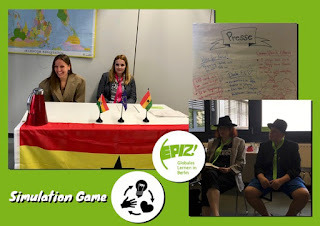 To get really deep into the topic, we played a simulation game, where we had to solve the conflict between the Ghanaian farmers and the EU. 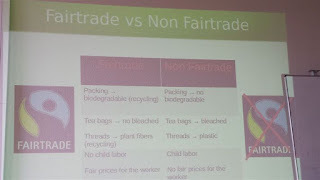 The workshop day was very interesting and taught us a lot about how our consumption affects people globally. Last week we visited the head quarters and warehouse of „Berliner Tafel“, the organization we presented on the mobility in Italy. 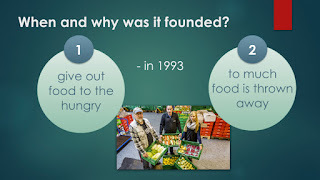 It was really interesting to see how the food bank works. 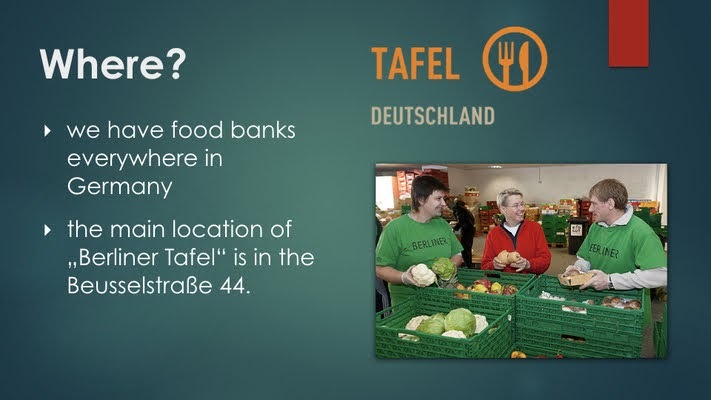 At first, we watched a video about the foundation of Berliner Tafel and then they explained us, why the food bank is so important in Berlin. Everybody in Berlin, who doesn’t have enough money to buy food, for example students, homeless people or single parents, can go there and get fresh food for just 1-2€. Mostly, they „sell“ vegetables, fruits and bread. 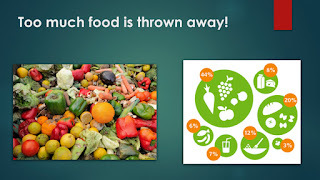 They get the food from supermarkets, which would normally throw it away. The Berliner Tafel saves the food, brings it to the warehouse and checks if it’s still eatable. Then they distribute it to all the 45 stores in the city. 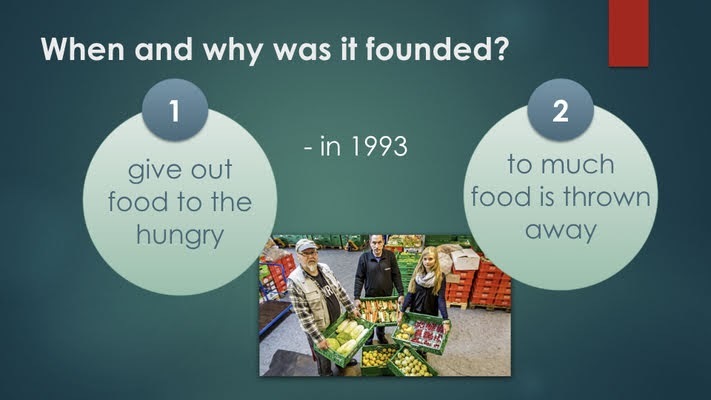 In that way they work very sustainable, since they produce less rubbish (SDG 12) and fight against hunger (SDG 2). 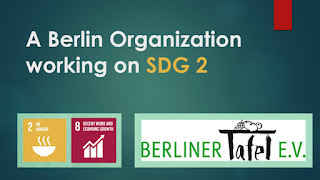 We thinks it’s great, that most people at Berliner Tafel work voluntarily. Probably some of us also want to help there one day. 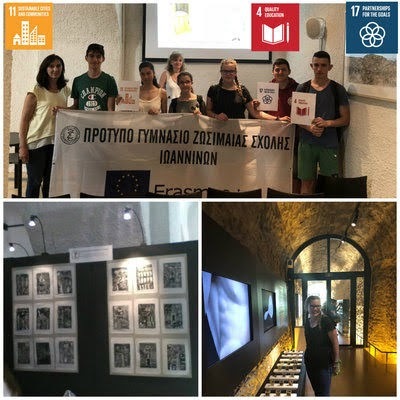 A cultural action by the Erasmus+ students took place at the Museum of Silversmithing in our city. Under the guidance of the Fine Arts teacher, Mr. Yannis Zogakis, they created and then exhibited engraving works with the title "CITY/CITIES “, as well as works made of recycled material, which were shown to a large number of visitors or fellow citizens. Thus, in the atmospheric space of the Museum, students showed their own view of the ideal cities to live in and got admired for their imaginative and artistic works, which served Goal 11: Sustainable Cities and Communities, Goal 4: Quality Education and Goal 17: Partnerships for the Goals. MUFF is a short-term project at the Carlo Schmid Oberschule about sustainable and creative use of recycled pieces of fabric. 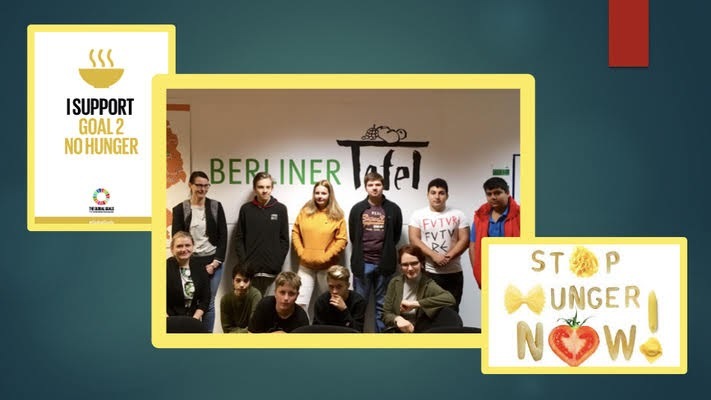 16 students in the age of 14-16 years learn how to design, create and sew various objects, only by using their proper hands and simple instruments like scissors, needles, threads and buttons. The students also learn basic technics of working with felt material. They can either create a Classical Muff-“Monster’ or bring their own fantasies into the process, as they can define every step and detail of the process, i.e. colors, forms, designs, threads and buttons. Since we're only working with leftovers of polar fleece and other materials to create our new fancy MUFF, our objects are produced in a fully sustainable way. At the end of our project, we're trying to give our new creative MUFFs a “personality and life’. We will be writing short fictitious texts about our fancy objects, as we might want them to get “familiar” with us — ugly or not ☺︎. Some of the students might even ‘play’ short theatre-dialogues with the MUFFS, giving them “real” thoughts, feelings and/or different voices. 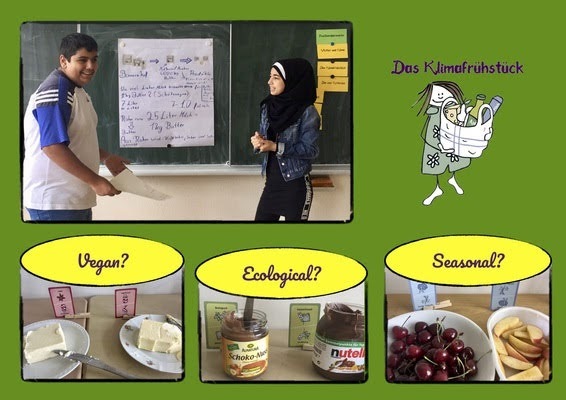 For our final presentation we will develop a short quiz about sustainable production conditions, asking visitors of our MUFF-exhibition questions, while discovering our “beautiful-ugly friends’ in our show-room. 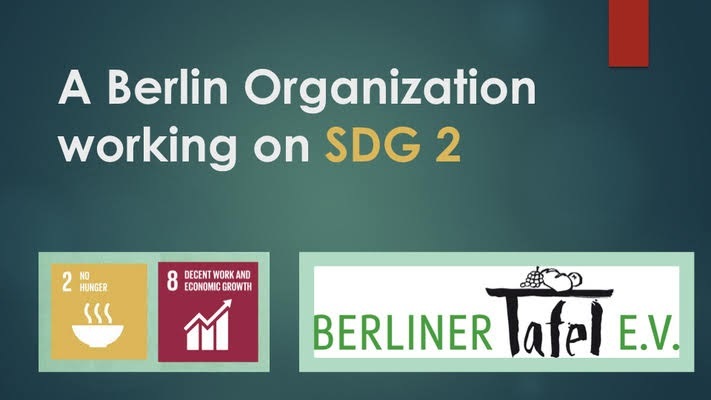 We think, this project is a great chance to get students interested for sustainable production (SDG 12). 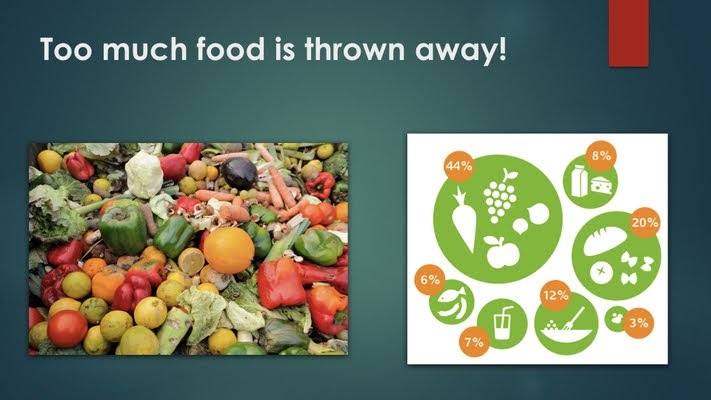 Eating breakfast and saving the environment? - Yes, that's possible! 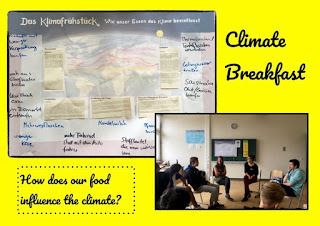 "The climate breakfast" is an activity that we did in school together with the non-governmental organization KATE e.V. 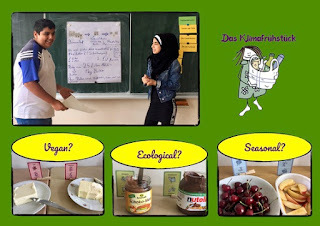 to explain the students how out food influences the climate. 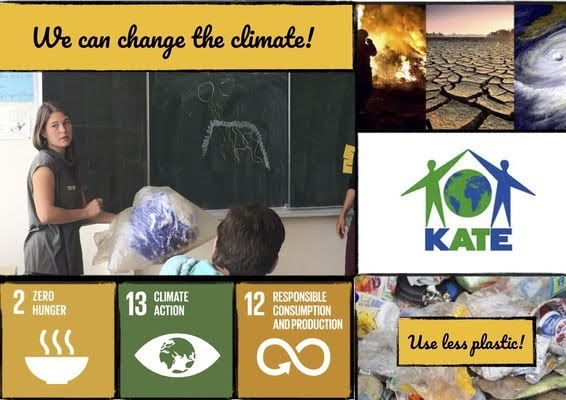 The focus in this activity is to understand that every person has an impact on the climate. 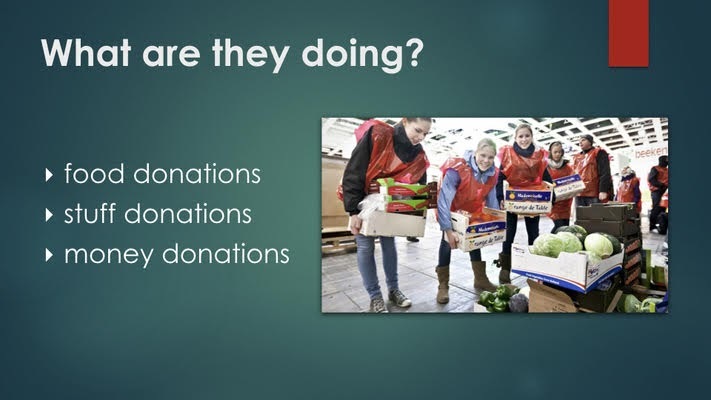 Also little things help like: buying seasonal fruits and vegetables, eat more ecological food, avoid using plastic and eat less food of animal origin. 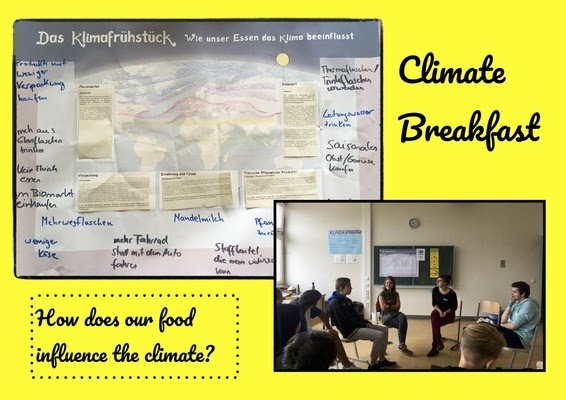 At the "climate breakfast" we learned a lot about the differneces between weather and climate, the concequences of the climate change and what we can do to protect the climate. The students got experts in one field an held a presentation and we ate breakfast all together. 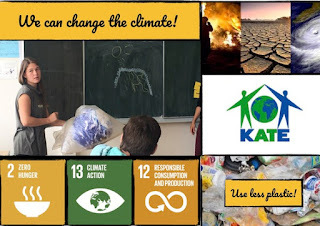 In the end, everybody sad one thing he wants to change in his every day life to help the planet.